Happy Hopperz are gorgeous, inflatable animals that take bouncing to a whole new level! Get them to do more physical exercise with this bouncing toy. - this item normally will be dispacthed in 3-5 business days. 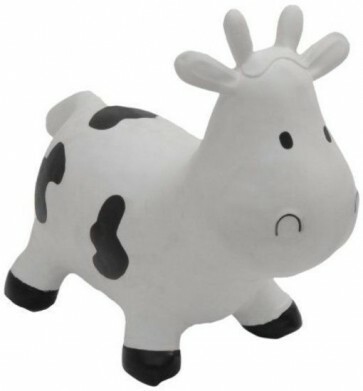 Kids can sit on and bounce up and down on this Bouncy Cow, and hold on to her ears for balance. Designed to be durable, soft and flexible, all Hopperz are supplied with a hand pump for inflation. Recommended for kids aged 12 months to 5 years. 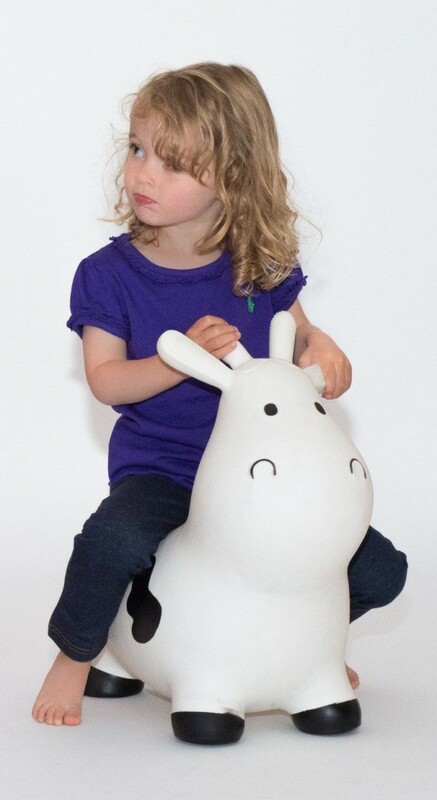 Kids can sit on and bounce up and down on this Bouncy Cow, and hold on to her ears for balance. Safe for use both indoors and outdoors. Helps with motor skills and muscle development. Includes a pump for inflation. These bright and colouful toys are as tough as they are safe, and boost motor skills and muscle development, as well as bringing a whole lot of joy to your child's play time! Happy Hopperz are a collection of bright, inflatable animals that not only rival the space hoppers of the 1970's but take BOUNCING to a whole new level.